This year’s Hardware Show welcomed over 2,000 visitors through the doors of Citywest, Dublin, across the 17-18 February. Product innovations were represented in four categories; Home, Garden, Build and DIY. 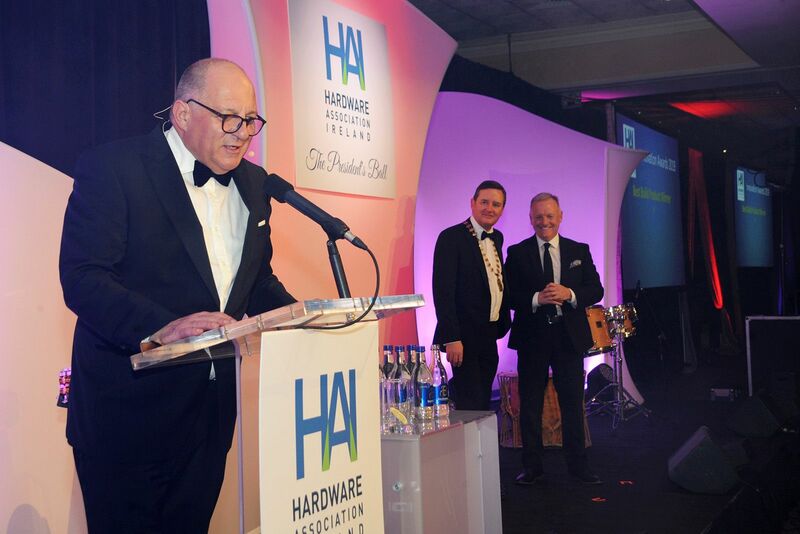 Highlights included the Innovation Awards, which celebrated and showcased product inspiration in the sector, The President’s Ball and the Italian Pavilion, representing 20 Italian suppliers. "The Irish hardware Show was a successful event for Draper Tools. We had a fantastic location at the show and enjoyed greeting visitors as they entered the exhibition. It was a well-organised, well-attended event; we were especially busy on the Sunday. "A highlight for us was the high level of interest in our Storm Force 20v range of power tools, which features a convenient, multi-tool battery system. We also found that our range of garden hand tools went down well with show visitors. “Above all, it was great to catch up with existing customers and meet plenty of new ones. We’re looking forward to following up with everyone we met." “Olympic has attended the Hardware show for many years and we have always found the shows to be an excellent platform to meet existing and new potential clients, with this year being no different. In addition, the show moving to Citywest was a perfect location for visitors. “We were encouraged by the footfall at the show on both the Sunday and Monday with no one day being busier than the other. It was the best show I have exhibited at for a long while with both exhibitors and visitors really buying in to the show and all it had to offer." "We were delighted to welcome so many visitors to the TIMco stand this year. It was great to showcase extensions to our existing ranges as well as previewing an Automated External Heart Defibrillator for the first time. We hoped to further highlight the importance of the ongoing 'Heart Safe' campaigns across Ireland as well as making the product readily available across the country. “The show was excellent; the product feedback was extremely positive, and we look forward to supporting our independent merchants further this year."